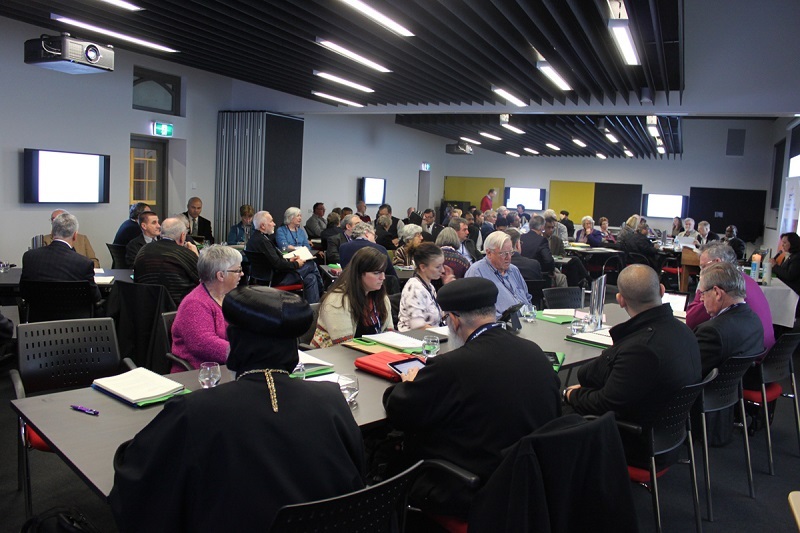 Between 5 -- 9 July 2013, the National Council of Churches in Australia (NCCA) held its 8th National Forum in Melbourne, Victoria under the theme 'Mission Shaped Ecumenism: What is the Call of God for the Church?' 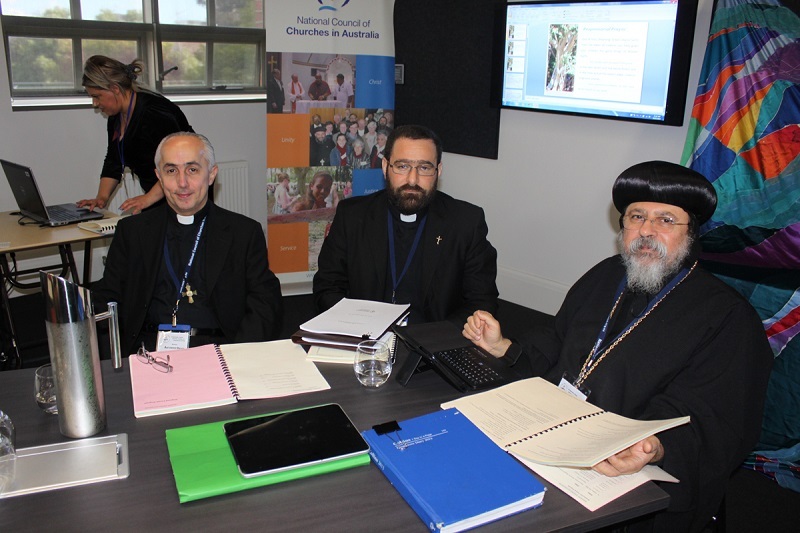 The 5-day Forum was held at the Catholic Education Leadership Centre, located in East Melbourne. 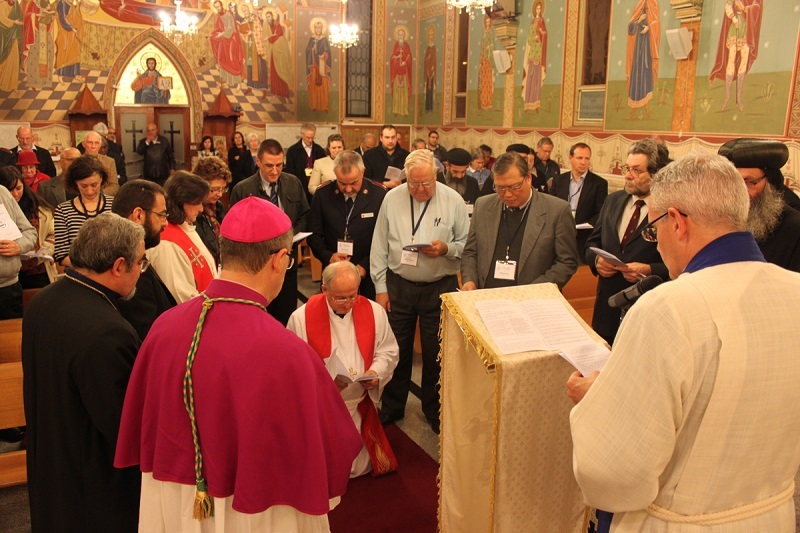 The Forum brought together more than 100 representatives of the 19 member churches of the NCCA which include the Catholic, Oriental and Eastern Orthodox, Protestant and other Christian traditions. The Australian Committee for the World Council of Churches was established in 1946 and later operated as the Australian Council of Churches. The national ecumenical body was first established in its present form in 1994 and works in collaboration with state ecumenical councils, is an associate of the World Council of Churches and a member of the Christian Conference of Asia. The Assyrian Church of the East has been an active member of the NCCA since its modern inception in 1994. 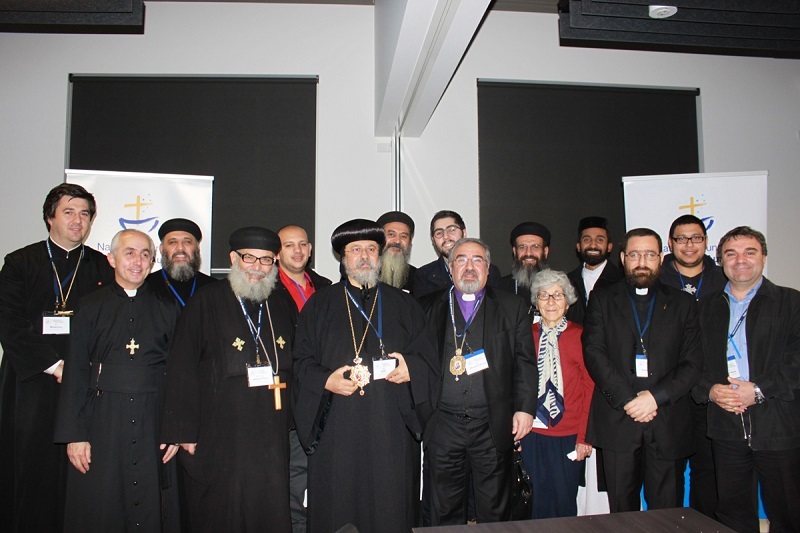 The delegation of the church to the 8th Forum in Melbourne, representing His Beatitude Mar Meelis Zaia AM, Metropolitan, included Melbourne parish priests, Rev'd Fr Hurmizd Jarjeis and Rev'd Fr Antawan Mikhail along with Mr Joseph Haweil (representative of the church on the Executive of the NCCA). Held triennially, the National Forum provides an opportunity for the heads of the NCCA's member churches and designated representatives to come together and explore and build upon the spirit of the ecumenical movement. The Forum evaluates the progress of the NCCA's Commissions and Networks and provides recommendations for their future directions. Daily worship and bible study sessions are also held along with opportunities for fellowship and social dialogue. The 8th Forum was graced with the presence of international guest and keynote speaker the Rev'd Dr Michael Kinnamon, former General Secretary of the United States National Council of Churches and currently the Spehar-Halligan Visiting Professor of Ecumenical Collaboration in Interreligious Dialogue at Seattle University's School of Theology and Ministry. As part of his participation in the Forum the Rev'd Dr Kinnamon gave two insightful addresses entitled 'The Challenges of Mission Shaped Ecumenism' and 'Why the Ecumenical Movement is a movement of peace'. A highlight of the Forum was an ecumenical worship service held at St Nicholas Antiochian Orthodox Church at which attendees from the various denominational groups that comprise the NCCA prayed for the visible unity of Christ's church. Also during the service the Rev'd Dr Mike Semmler from the Lutheran Church of Australia was commissioned as 7th President of the NCCA. It is noteworthy that a motion on the suffering and persecution of Christians in the Middle East proposed by Eastern member churches (including the Assyrian Church of the East) was passed by the delegates to the Forum. The motion included an expression of immense concern for the 'ongoing suffering and persecution of Christian peoples belonging to various denominations throughout the Middle East'. The motion also directed the Executive and General Secretary of the NCCA to 'make urgent representations ? to the Australian Government ? with respect to the situation of Christians in the Middle East'. The passage of this important motion builds upon discussions concerning the plight of Assyrian Christians at both the previous 6th and 7th Forums of the NCCA held in Alexandra Headlands (Queensland) in 2007 and in Canberra (Australian Capital Territory) in 2010 respectively. In both these Forums the matter of persecution of Christians in the Middle East, and Assyrians in Iraq in particular, was raised with member churches committing to uphold the Christians of the Middle East in prayer. On the sidelines of the Forum, Mr Joseph Haweil also attended a Conference of the Victorian Council of Churches (VCC) in which he and the Rev'd Fr Antawan Mikhail represent the Assyrian Church of the East. The Assyrian Church of the East has a long history of active engagement with the VCC in years past. The Assyrian Church of the East continues to support the work of the NCCA in building the ecumenical spirit in Australia and endeavours to work more actively and closely with the NCCA through its Commissions and Networks and in forthcoming initiatives. His Beatitude the Metropolitan has nominated a number of clergy and faithful of the Assyrian Church of the East in Sydney and Melbourne to join specific Commissions and Networks of the NCCA and contribute to their important work over the next triennium in the life of the national ecumenical body.